Hyundai India, Country’s 2nd largest car manufacturer was reportedly planning to launch their brand new next generation Tucson on 24th of October. Recent confirmed reports reveal that the automaker has postponed the big launch of the upcoming SUV. The new launch date has not been revealed yet. New 2016 Hyundai Tucson made its debut at Delhi Auto Expo 2016 in Greater Noida. 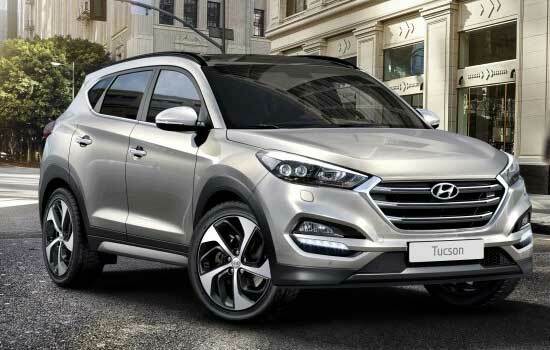 During Delhi Auto Expo 2016, Hyundai has announced that Tucson will be brought to India through the CKD route, and shall be effectively placed in between the popular Hyundai Creta and the Santa Fe in the company’s SUV line-up. Hyundai Tucson’s launch is in-line with Hyundai India’s strategy to push its average product cost towards the premium segment. Hyundai had launched the first-generation Tucson model in 2005. However, the 2nd-generation Tucson never made it to India. Noticing the growing demand for SUVs and Crossovers in the Indian market, Hyundai decided to bring the 3rd generation Hyundai Tucson to India. When Hyundai Tucson hits Indian roads it is going to take on its rivals like Skoda Yeti, SsangYong Rexton and Honda CR-V.
You can add more to this story by commenting below. Follow us on Facebook and subscribe to us on Youtube for regular updates.